Home > Practice Yoga > Types > Yin Yoga > What Is Yin Yoga? Yin yoga requires a virtue which is often taken for granted with our fast paced society - patience. We all want results, now, quicker and cheaper. The practice of Yin Yoga cultivates this golden quality within our bodies and allows our scattered mind to settle with surrender to the subtle forces around us. What makes Yin Yoga different from a traditional Yoga practice is that gravity becomes our tool and friend to call us into deeper shapes. A fast paced yoga class can strengthen and stretch the body through resisting gravity with a series of postures. Our goal with Yin is to work with the subtle downward pull towards the earth and develop a sense of release and surrender to deeper levels of tissues. The anatomical aim of these Yin and Restorative poses is to gently traction the connective tissue around the joints and bones, specifically of our hips and lower back. These shapes are typically held from three to five minutes, adjusting as necessary to allow the body to release from superficial tension to layers of bound up connective tissue. Yin and Restorative yoga postures practiced in the evening will naturally relax the nervous system and call in a deeper more restful sleep. With the slow traction of our joints and vertebra, we allow the decompression of our daily thoughts. Over time, the Yin and Restorative practices can increase range of movement in joints, produce more synovial fluid for the spine and joint capsules, decompress and provide more space in-between vertebrae. Many people with back pain have found relief through a consistent Yin Yoga practice. 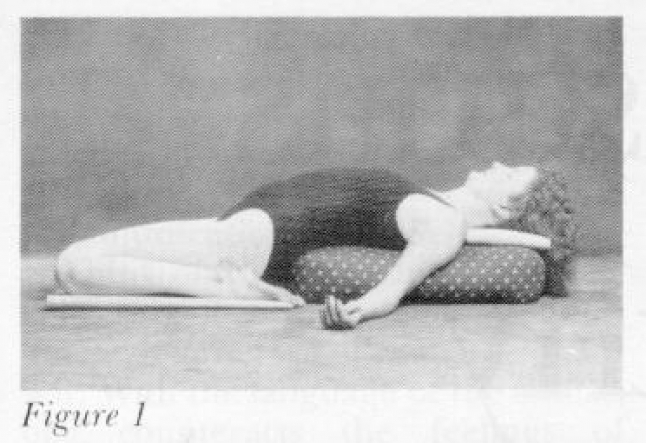 The majority of Yin Yoga postures seated or lying down, and allow the use of props such as blocks, straps, and bolsters when necessary. It is understood in these postures that each one of us has a unique shape and anatomy. A experienced Yoga instructor will assist you to find different angles of force which allow the most opening with the least amount of pain. When connective tissue is stretched with time, a warm, weak feeling may be experienced. In the end, it is this type slow practice which will reshape your body into a pain-free and patient being.